University at Buffalo O'Brian Hall | CORE Environmental Consultants, Inc. University at Buffalo O'Brian Hall | CORE Environmental Consultants, Inc. 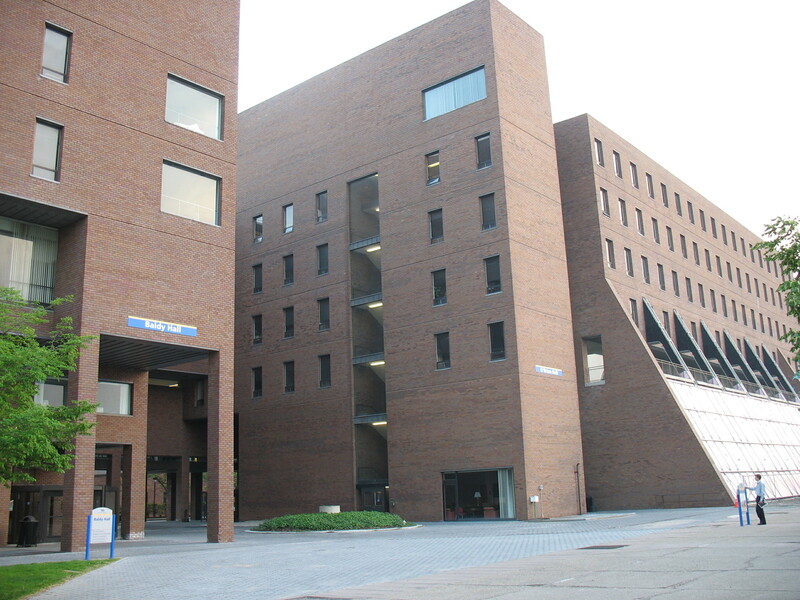 CORE completed a comprehensive inspection for suspect asbestos- containing materials (ACM) for the State University of New York (SUNY ) at Buffalo’s O’Brian Hall, located on the North Campus. The inspection included all accessible interior spaces, building envelopes, and roof areas. Inspections were performed by a team of supervised inspectors who are licensed by the New York State Department of Labor (NYSDOL) and United States Environmental Protection Agency (USEPA) to conduct asbestos inspections and collect material bulk samples. The inspections were conducted in accordance with guidelines set forth in Chapter 40 of the Code of Federal Regulations, Part 763 (40 CFR 763) and New York Code Rule 56. Bulk samples were collected from suspect ACM within each homogeneous area identified. To avoid unnecessary sample analysis, suspect materials that were considered physically inseparable from identified ACM were not subjected to laboratory analysis. The location of all suspect ACM at the project site was mapped. The materials were classified into homogeneous groups as appropriate and representative samples were collected at a frequency compliant with all regulatory requirements for laboratory analysis. Results were received within 24 hours of sampling and summarized in a survey report detailing the location and results of all sample points, the location of all hazardous materials present at the subject property, an estimate of the quantity of each hazardous material identified, and a preliminary cost estimate for abatement. All ACM and suspect materials found were inventoried for quantity, condition, and friability. CORE prepared the asbestos abatement design drawings and specifications and cost estimates for the required work. The design documents were provided to abatement contractors for use in bid preparation and removal variances.